Thank you to everyone who has visited Lawrence Abu Hamdan’s exhibition, Earwitness Theatre, so far. The exhibition continues until 9 December, Wednesday-Sunday, 12-6pm. To find out more information, please click here. Photos are of the exhibition, by Andy Keate. This month we launch an exciting opportunity for young people, aged 16 – 20 years who are interested in contemporary art. Our new 12-month programme provides a space for critical discussion where young people will collectively discuss issues and ideas that are important to them, and develop these ideas into public projects. 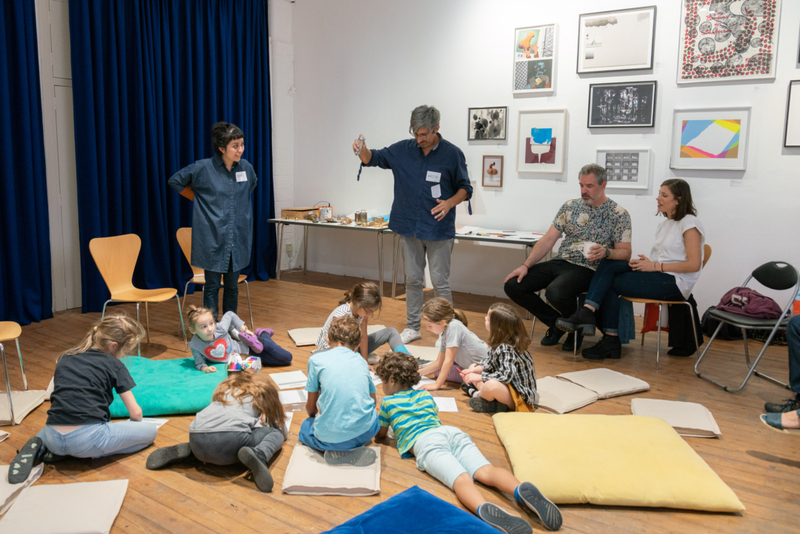 Through mentoring sessions with Chisenhale Gallery’s curatorial team and invited creative professionals, the programme supports creative practice and provides participants the opportunity to learn new skills, build confidence and form a network of new friends and collaborators. Deadline for applications is Thursday 29 November. For more information, including how to apply, please click here. Chisenhale alumni with recent openings include: Maeve Brennan presents a new commission The Goods at Kuntshaus Bregenz, until 20 January 2019; Wolfgang Tillmans makes his English National Opera debut as a production designer for War Requiem, which opens on Friday 16 November; Mariana Castillo Deball presents a solo exhibition Petlacoatl at Logan Center Gallery, Chicago which opens on Friday 16 November; Jumana Manna and Nicholas Mangan are included the 11th Taipei Biennial, Post-Nature - A Museum as an Ecosystem, which opens on Saturday 17 November. Forthcoming programme participant Imran Perretta will debut new audio-visual project AMRA at Somerset House, on Saturday 17 November. Reema Salha Fadda at Chisenhale Gallery. 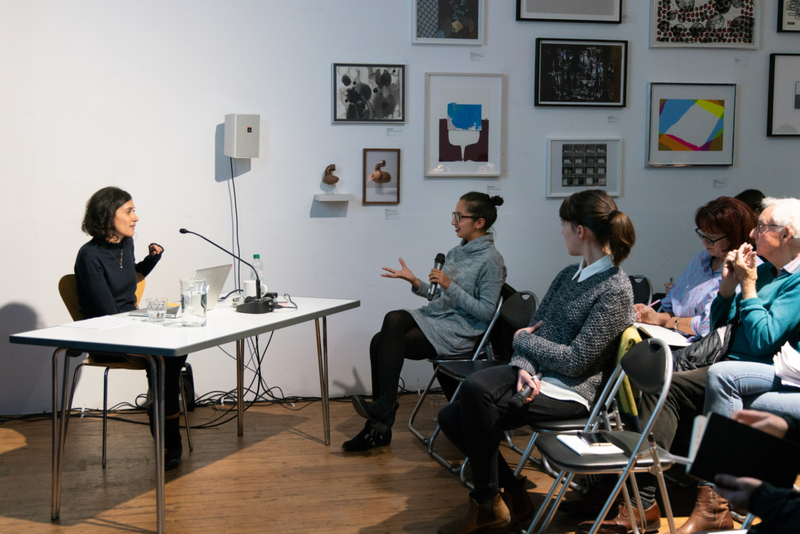 Thank you to everyone who joined us last Thursday for a talk by Reema Salha Fadda, in response to Lawrence Abu Hamdan’s new commission Earwitness Theatre at Chisenhale Gallery. Lawrence's exhibition continues until 9 December and the gallery is open Wednesday-Sunday, 12-6pm. To find out more information, please click here. Photos are of the event, by Sam Nightingale. As part of our Engagement Programme a series of discursive events has been programmed in collaboration with Lawrence. For further details on all forthcoming events, and for documentation of previous events including Lawrence in conversation with Stuart Comer, please click here. 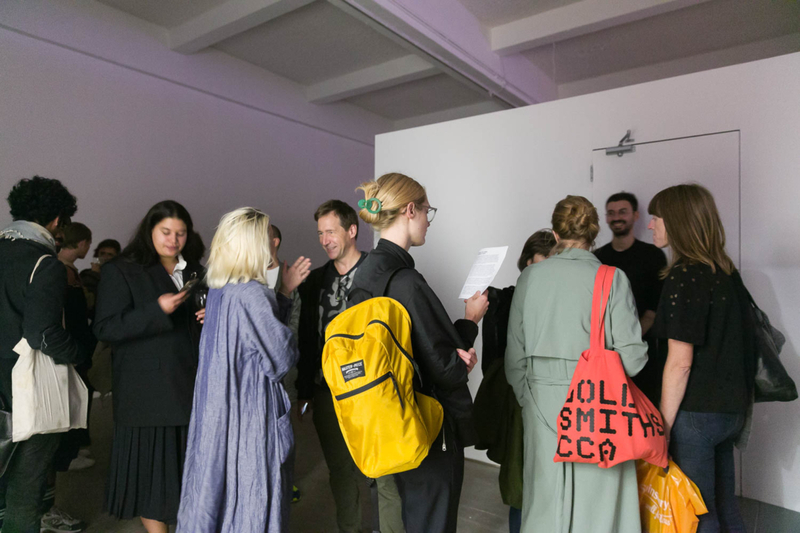 Chisenhale alumni and forthcoming programme participants with recent openings include: Lubaina Himid participates in group show Niepodległe: Women, Independence and National Discourse, Museum of Modern Art in Warsaw, until 9 February 2019; Lydia Ourahmane, Nasrin Tabatabai and Babak Afrassiabi are included in group show, Crude, Jameel Arts Centre, Dubai, which opens on Sunday 11 November (until 30 March 2019). Thank you to everyone who has visited Lawrence Abu Hamdan’s exhibition, Earwitness Theatre, so far. The exhibition continues until 9 December, Wednesday-Sunday, 12-6pm. To find out more information, please click here. Photo is a detail of the exhibition, by Andy Keate. As part of our Engagement Programme a series of discursive events have been programmed in collaboration with Lawrence. 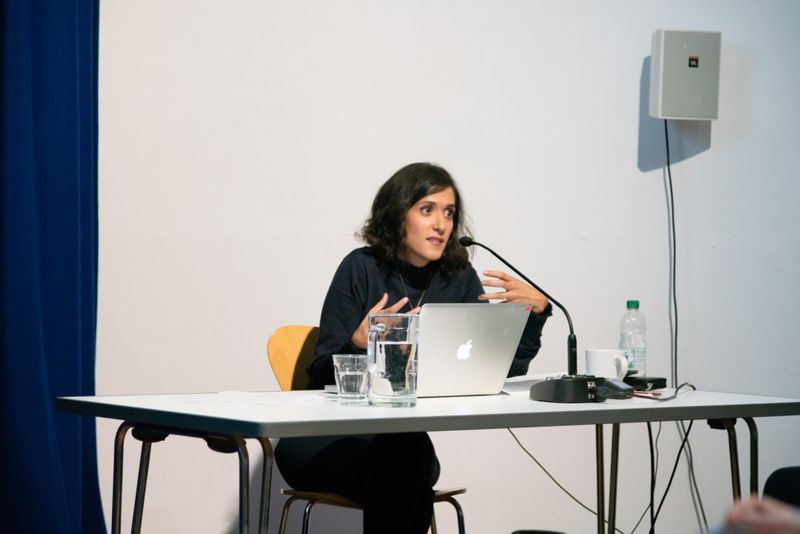 This Thursday evening writer, editor and researcher, Reema Salha Fadda will give a talk in response to Lawrence’s new commission, drawing on her research into Arab visual cultures and the political economy of knowledge production. This event is now at full capacity. A recording of this event will be made available in the Watch Read Listen section of our website. For further details on all forthcoming events, and for documentation of previous events, please click here. 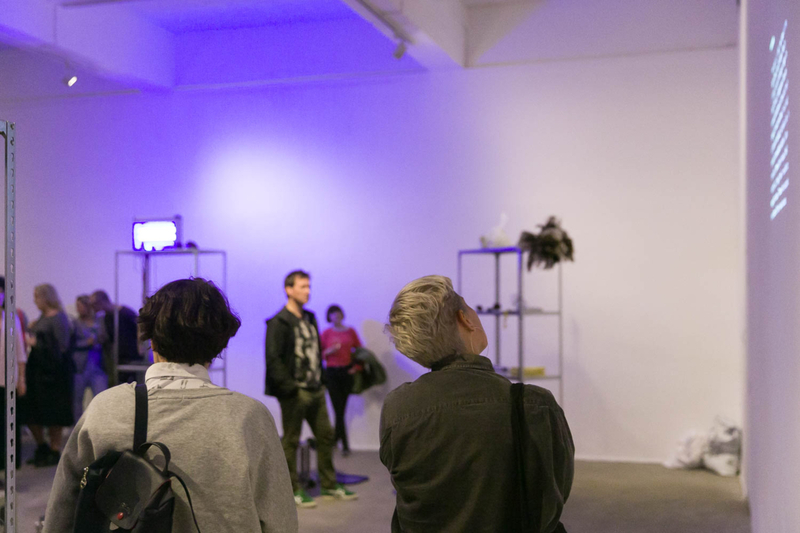 Chisenhale alumni and forthcoming programme participants with recent openings include: Maeve Brennan and Imran Perretta who present new works in Unintended Consequences at The Edge, University of Bath, which continues until 15 December; Wolfgang Tillmans who opened Rebuilding the Future at Irish Museum of Modern Art, Kilmainham, which continues until 17 February 2019; Park McArthur who presents a new solo exhibition, Projects 195: Park McArthur at MoMA, New York; Hito Steyerl premieres The City of Broken Windows at Castello Di Rivolli Museum of Contemporary Art, Turin on Thursday 1 November; and Sidsel Meineche Hansen opens solo exhibition Real Doll Theatre at KW Institute Berlin on Saturday 3 November, which continues until 6 January 2019. Thomas Hirschhorn, Hito Steyerl and Wolfgang Tillmans are also included in Picture Industry: A Provisional History of the Technical Image, 1844–2018 at Luma Foundation, Arles, which continues until 6 January 2019. 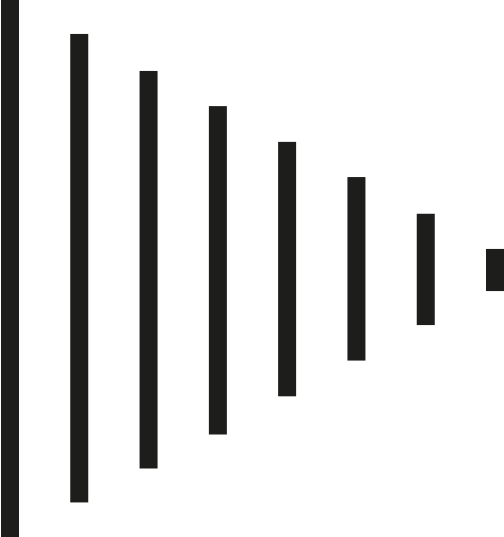 Lawrence Abu Hamdan, Earwitness Theatre (2018). 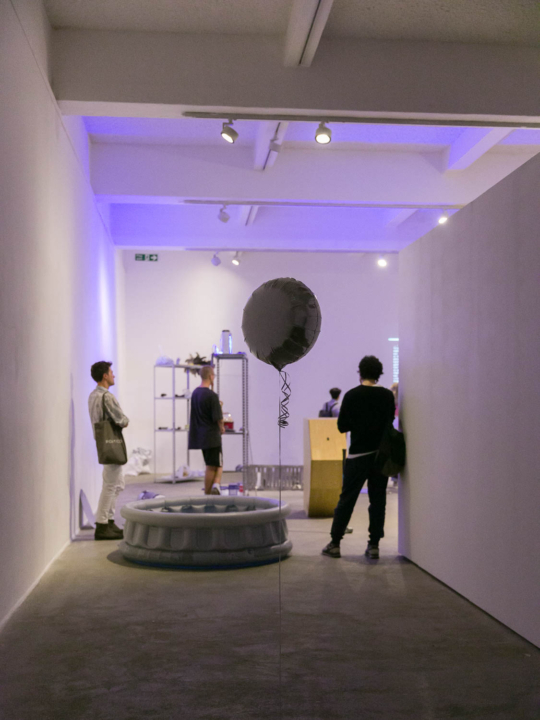 Installation view, Chisenhale Gallery, 2018. Commissioned and produced by Chisenhale Gallery, London in partnership with: Witte de With Center for Contemporary Art, Rotterdam; Contemporary Art Museum St. Louis; and Institute of Modern Art, Brisbane. Courtesy of the artist. Photo: Andy Keate. As part of our Engagement Programme a series of discursive events have been programmed in collaboration with Lawrence. 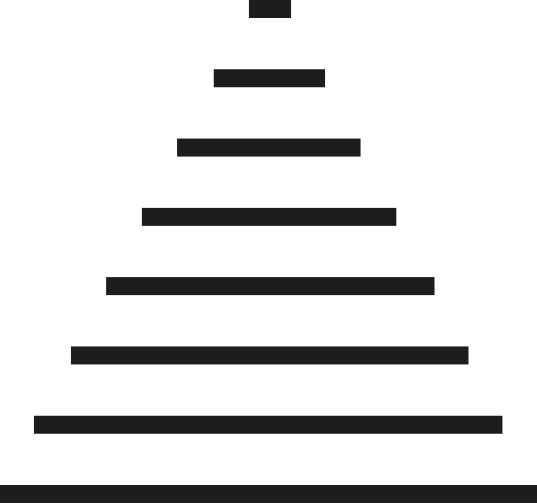 For further details on all forthcoming events, and for documentation of previous events, please click here. Chisenhale alumni and forthcoming programme participants with recent openings include: Jumana Manna is participating in group show, L’Intrus at Tabakalera, International Centre for Contemporary Culture, which opens on Friday 26 October; and Ed Fornieles and Yuri Pattison are included in 6th Athens Biennale: ANTI, which also opens on Friday 26 October. Workshop run by The Soundhoppers. Thank you to everyone who has visited Lawrence Abu Hamdan’s exhibition, Earwitness Theatre, so far. The exhibition continues until 9 December, Wednesday-Sunday, 12-6pm. To find out more information, please click here. 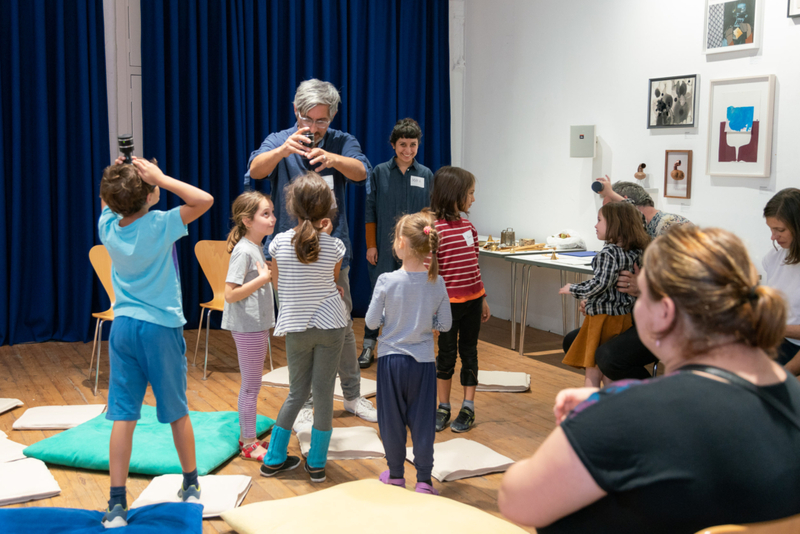 Thank you to everyone who attended the workshop by The Soundhoppers, a sound exploration playgroup run by Wajid Yaseen and Mara Bueno. 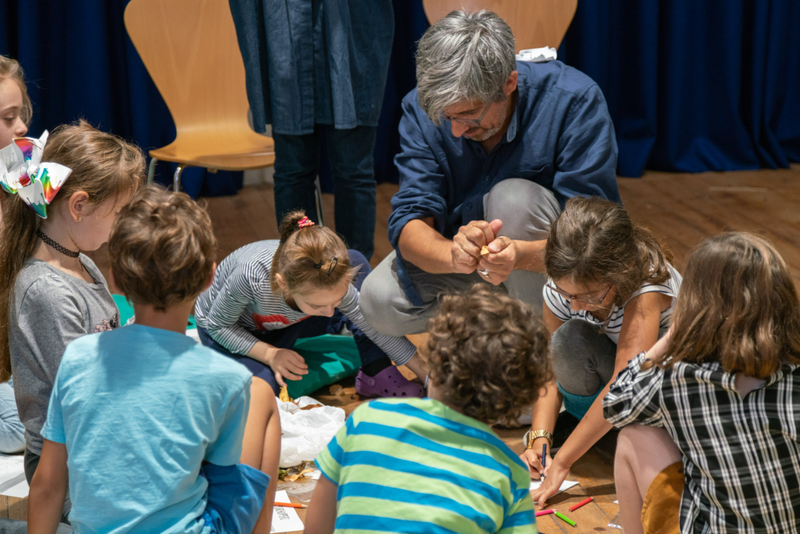 The workshop was for children (5 – 11 years) exploring deep listening in response to Lawrence’s exhibition. 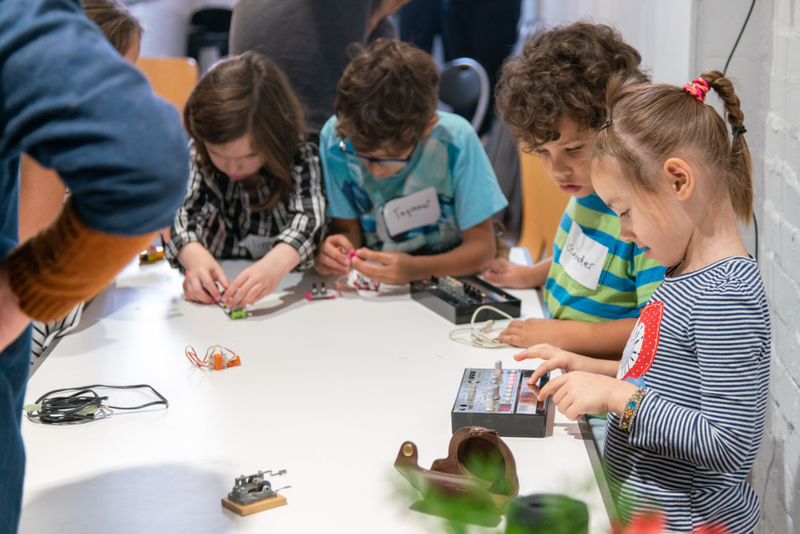 Photos are of the workshop, by Sam Nightingale. 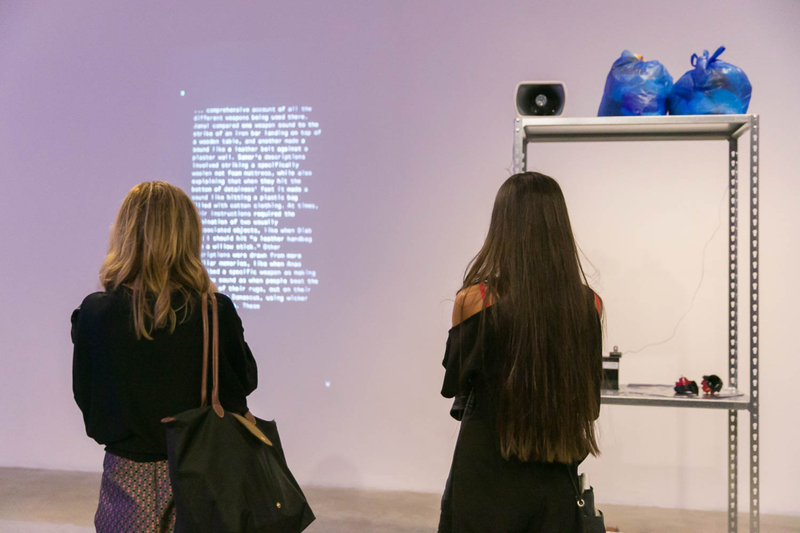 Forthcoming events include a talk in response to Lawrence’s commission by writer and researcher, Reema Salha Fadda on Thursday 1 November, 7pm and a talk exploring the mechanisms of auditory perception by author, Joe Banks on Thursday 22 November, 7pm. For more information, please click here. Chisenhale alumni and forthcoming programme participants with recent openings include:Ghislaine Leung is participating in a group show, October 12 – November 25, 2018 at FRI ART, Freiburg, until 25 November; Rosalind Nashashibi and Lucy Skaer will be opening their collaborative exhibition, Nashashibi/Skaer: Thinking Through Other Artists, at Tate St.Ives, until 6 January 2019; Rasheed Araeen opens his major solo retrospective at Baltic Centre for Contemporary Art, Gateshead, until 27 January 2019; and Lydia Ourahmane and Luke Willis Thompson will be participating in debate, EUROPE OR DIE, discussing trans-border art production at Goethe-Institut, Paris on Wednesday 17 October. 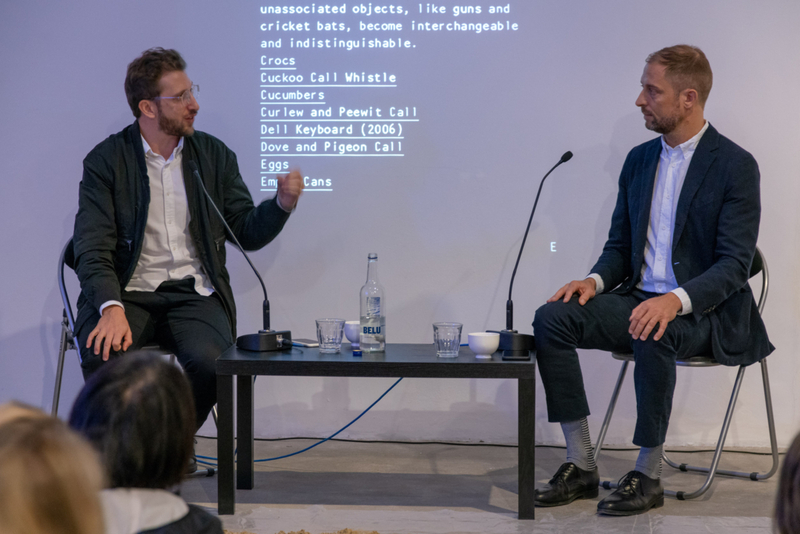 Thank you to everyone who came to see Lawrence Abu Hamdan in conversation with Stuart Comer on Friday 5 October, to discuss his new commission Earwitness Theatre at Chisenhale Gallery. The exhibition continues until 9 December, Wednesday-Sunday, 12-6pm. To find out more information, please click here. Photos are of the event, by Sam Nightingale. 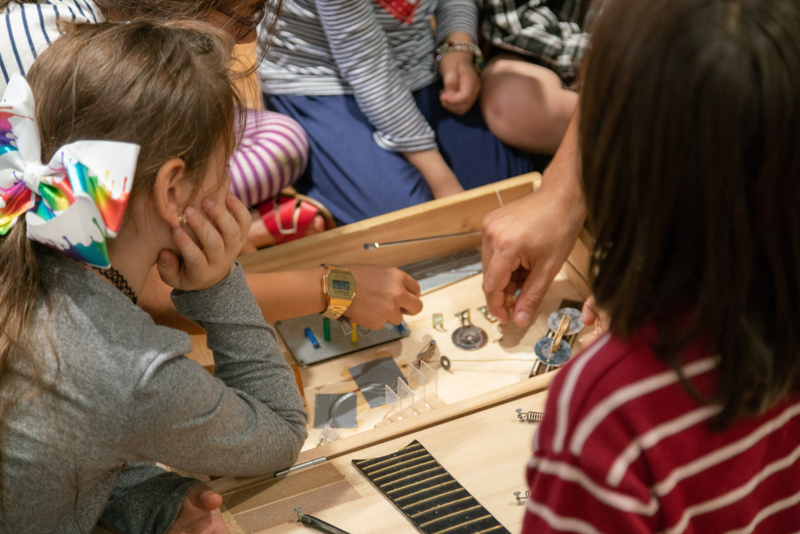 Please join us this Saturday 13 October at 2pm, for a workshop with The Soundhoppers, a sound exploration playgroup run by Wajid Yaseen and Mara Bueno. 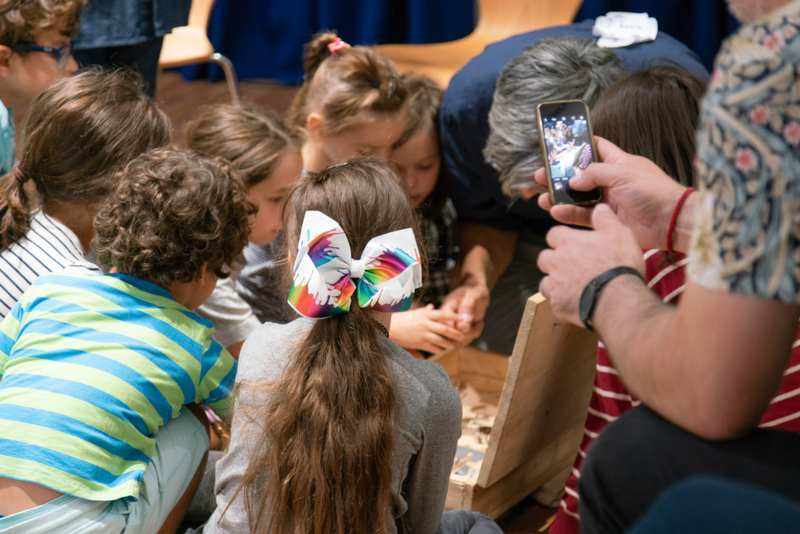 The workshop is for children (5 – 11 years) and their parents or carers exploring deep listening in response to Lawrence’s exhibition. This event is free to attend but booking is recommended. To reserve a place please visit our Eventbrite page here. 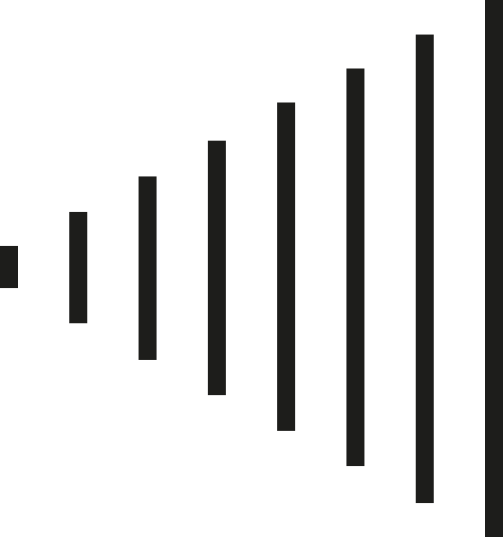 Forthcoming events include a talk in response to Lawrence’s commission by writer and researcher, Reema Salha Fadda on Thursday 1 November, 7pm and a talk exploring the mechanisms of auditory perception by author, Joe Banks on Thursday 22 November, 7pm. For more information, please click here. Chisenhale alumni and forthcoming programme participants with recent openings include: Banu Cennetoğlu has facilitated the distribution of The List Art Exchange, in collaboration with the Centre for Migration Studies, University of Essex, until 3 November; Ima-Abasi Okon is included in the group show Sur— [MIX-USE COMMODITY]—plus at Kingsgate Project Space, until 6 November; Rachel Whiteread will be showing her new 14-18 NOW commission, Nissen Hut, at Dalby Forest on 10 October; and Jumana Manna will be screening Wild Relatives at Tate Modern on 10 October, 6.30pm. Lawrence Abu Hamdan, Earwitness Inventory. Installation Shot, Chisenhale Gallery. 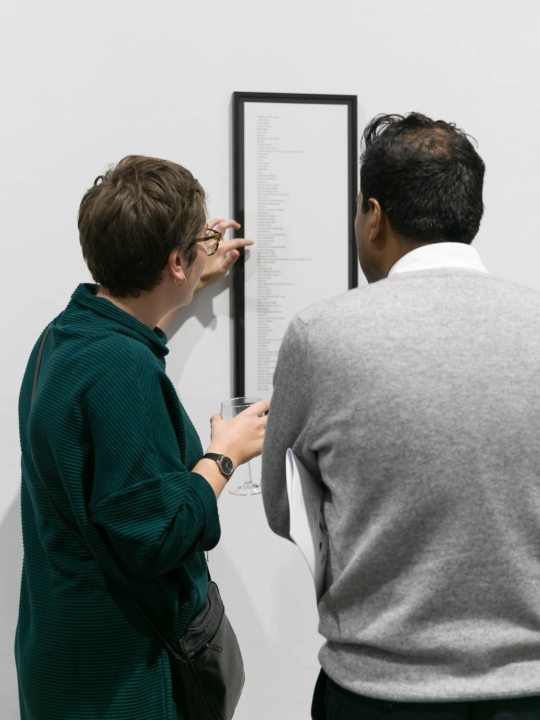 As it is Frieze week in London, we have extended opening hours this week: Monday 1 October - Sunday 7 October, 12-6pm, with late openings on Thursday 4 October and Friday 5 October until 9 pm. 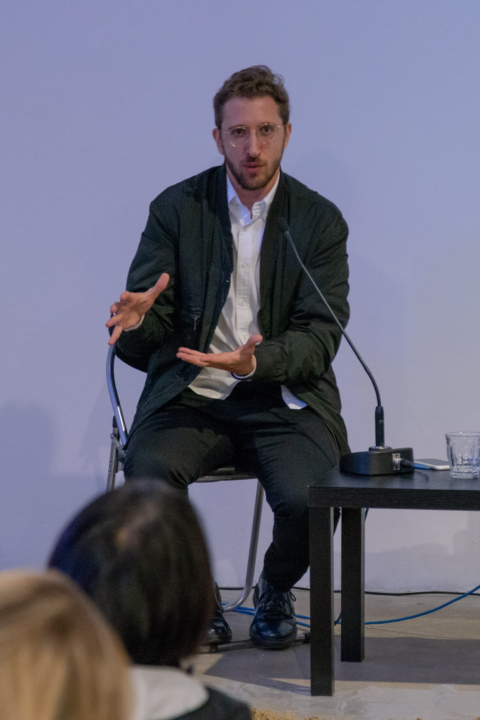 To end the week, we will be hosting a conversation at the gallery between Lawrence Abu Hamdan and Stuart Comer, Chief Curator of Media and Performance Art, at MoMA, New York this Friday, 12pm. Although the talk is sold out, the event will be recorded and will be available to view on our website shortly after the event. For details on all events and for bookings, please visit our Events page. This week we are launching special limited editions by artists Lubaina Himid, Helen Marten, David Noonan, and Caragh Thuring at Frieze London. Check out the editions on our website here or visit us at the Allied Editions stand (B20) during Frieze London from Thursday 4 October to Sunday 7 October 2018. All sales proceeds go towards supporting our artistic programme. 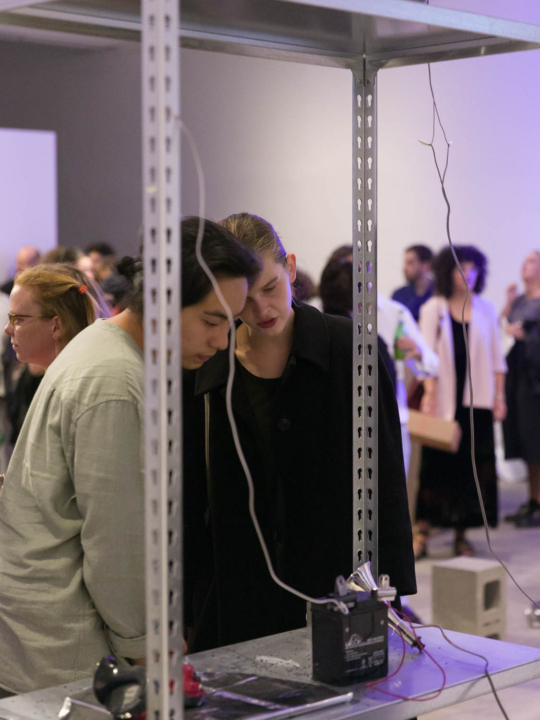 We have lots of alumni presenting new work at this year’s Frieze London: Alex Baczynski-Jenkins, the winner of Frieze Artist Award 2018, will present a new performance-based work at the fair, Camille Henrot and Pratchaya Phinthong will be presenting new installations as part of Frieze Live, and Sonia Boyce will be discussing her practice during ‘On Social Work’ as part of the Frieze talks programme. Chisenhale alumni Paul Maheke will also present his 2018 Chisenhale commission, A fire circle for a public hearing, at Les Ateliers de Rennes - Contemporary Art Biennale, which will continue until 2 December 2018. Thank you to everyone who joined us for the opening of Lawrence Abu Hamdan’s exhibition, Earwitness Theatre, last Thursday 20 September. The exhibition is now open until 9 December, Wednesday-Sunday, 12-6pm. To find out more information, please click here. Photos are of the opening, by Mark Blower. 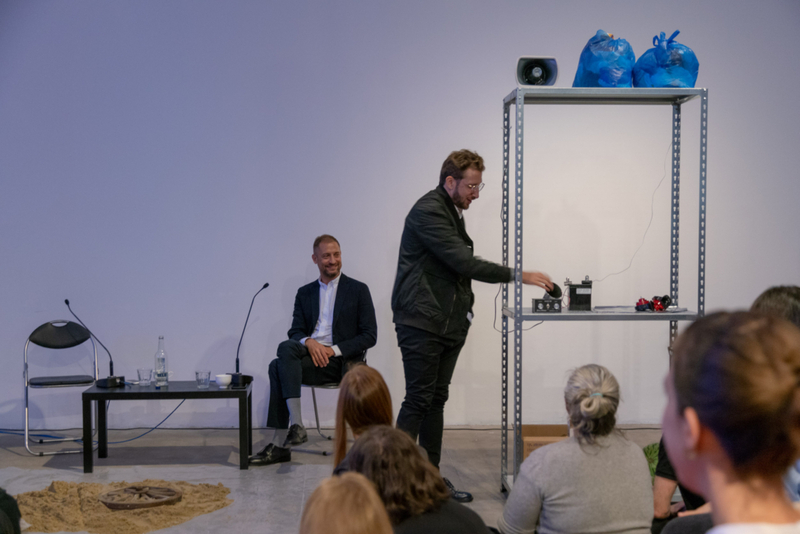 On Friday 5 October Abu Hamdan and Stuart Comer, Chief Curator of Media and Performance Art, Museum of Modern Art, New York will be in conversation at the gallery. For details on all events and for bookings, please visit our Events page. Chisenhale Gallery is participating in the Allied Editions stand at Frieze London for the eighth consecutive year, when we will be launching special limited editions by Lubaina Himid, Helen Marten, David Noonan, and Caragh Thuring. 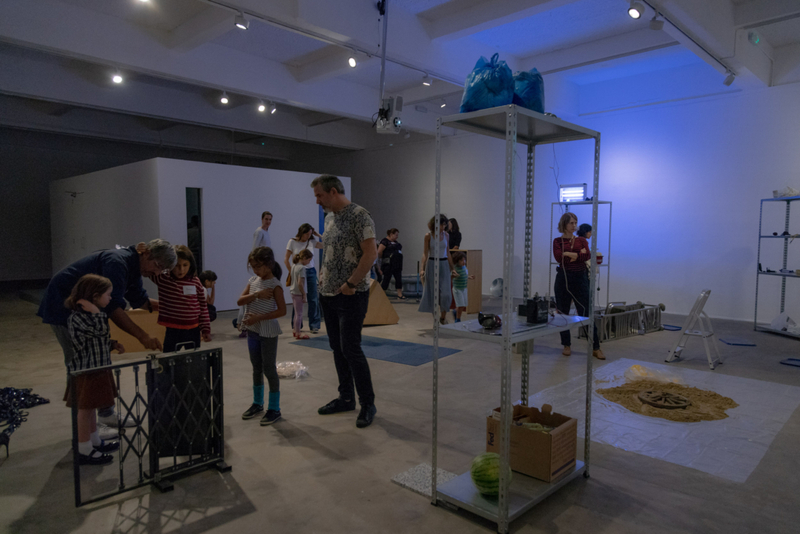 Alongside the new editions launches, we will also feature works by Chisenhale 2018 Commissions Programme artists Lawrence Abu Hamdan, Lydia Ourahmane and Banu Cennetoğlu. Visit us at the Allied Editions stand, B20, during Frieze London from Thursday 4 October to Sunday 7 October 2018. For more information about Allied Editions click here. During Frieze London, we will extend Abu Hamdan's exhibition opening hours to: Monday 1 October - Sunday 7 October, 12-6pm, with late openings on Thursday 4 October and Friday 5 October until 9 pm. Chisenhale alumni and forthcoming programme participants with recent exhibitions include: Cornelia Parker presents new installation Transitional Object (PsychoBarn) at the Royal Academy, Piccadilly, London; Park McArthur is included in group show, Sick Time, Sleepy Time, Crip Time: Against Capitalism’s Temporal Bullying at The Luminary Arts, St. Louis, until 8 November; Céline Condorelli opened her solo show Zanzibar at Galeria Vera Cortes, until 10 November; Imran Perretta presents 15 Days at Art Exchange, University of Essex, until 3 November; and Luke Willis Thompson will be presenting his 2017 Chisenhale Gallery commission autoportrait as part of the Turner Prize 2018 exhibition at Tate Britain, until 6 January 2019. 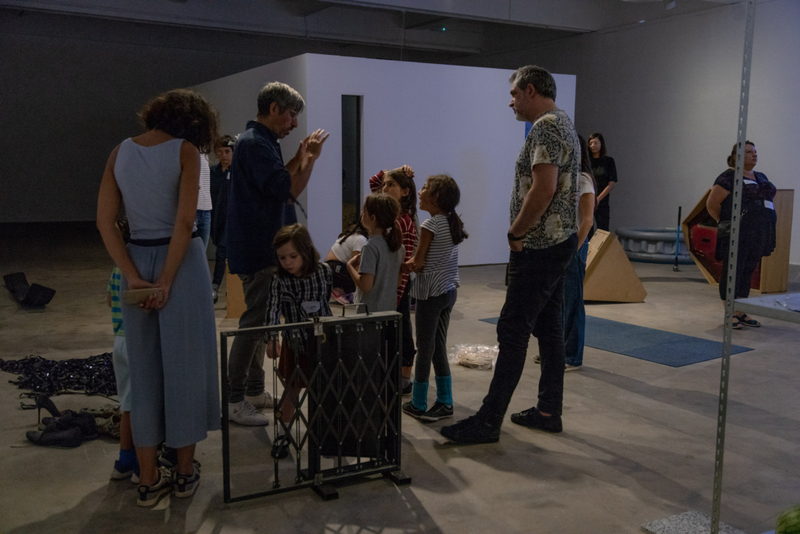 Please join us this Thursday 20 September, 6.30-8.30pm, for the opening of Earwitness Theatre, a new exhibition by Beirut-based artist and 'private ear' Lawrence Abu Hamdan. Earwitness Theatre develops Abu Hamdan’s enquiry into the political effects of listening, presenting a new commission that explores the hallucinatory world of the earwitness. Earwitness Theatre is commissioned and produced by Chisenhale Gallery in partnership with: Witte de With Center for Contemporary Art, Rotterdam; Contemporary Art Museum St. Louis; and Institute of Modern Art, Brisbane and it will be presented at the partner venues throughout 2019. To find out more about the exhibition, please click here. As part of the commissioning process a programme of events has been devised in collaboration with Lawrence Abu Hamdan, including a talk exploring the mechanisms of auditory perception by Joe Banks, author of 'Rorschach Audio – Art & Illusion for Sound' (2012) on Tuesday 23 October; and a talk on the political economy of knowledge production in response to Abu Hamdan's new commission by writer and researcher Reema Salha Fadda on Thursday 1 November. For more details, including how to reserve a free place, please visit the Exhibition Events page of our website here. 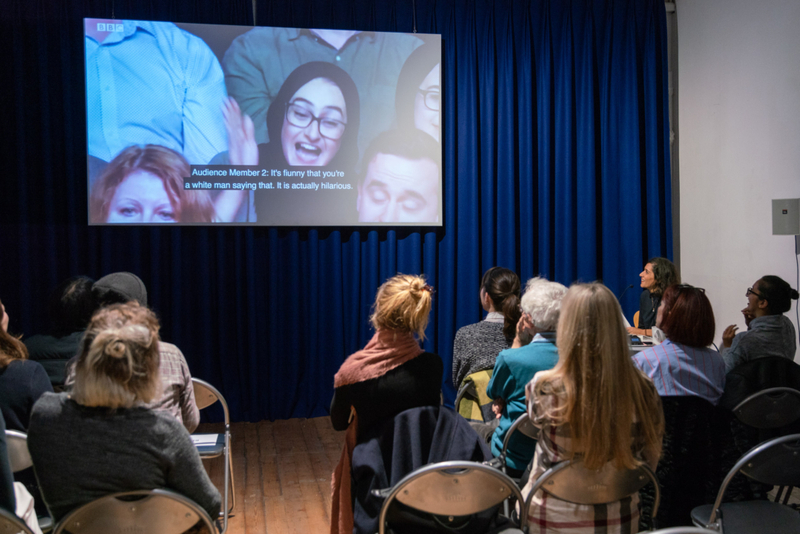 Two new short films by filmmakers Wajahat Hussain and Anita Safowaa, produced by Chisenhale Gallery in 2018 as part of the final year of the Stop Play Record programme, are now available to watch online via Chisenhale's website here. Stop Play Record was a three-year programme for young people, aged 16 - 24 years interested in experimental film. 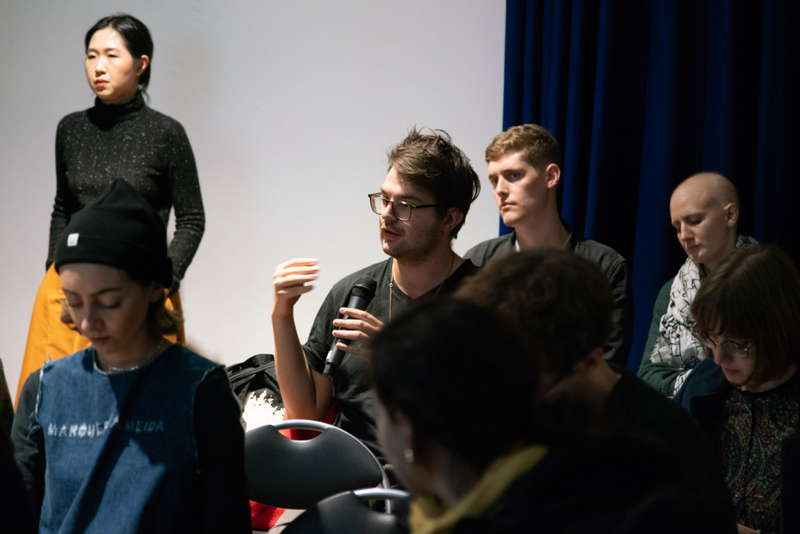 This was a joint initiative between Arts Council England and Channel 4, which saw the ICA lead a London Network in partnership with Bloomberg New Contemporaries, Chisenhale Gallery, DAZED, Kingston University and SPACE. Please join us on Thursday 15 November, 6.20pm, for a screening of the films produced by Chisenhale Gallery as part of the programme featuring works by Ayo Akingbade, William Glass, Raheela Suleman, Korallia Stergides, Anita Safowaa and Wajahat Hussain. The screening will be followed by a discussion with the filmmakers. To find out more and for bookings please click here. 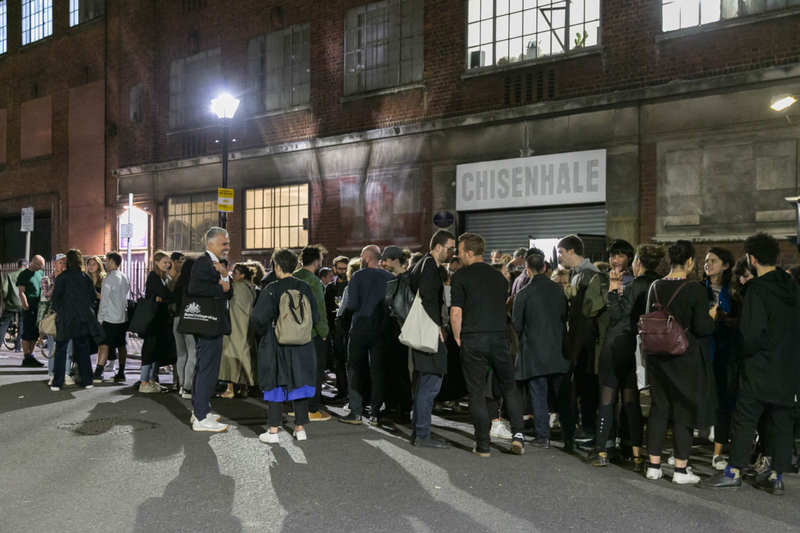 Chisenhale alumni with recent and forthcoming exhibitions include: Ulla von Brandenburg Sweet Feast at Whitechapel Gallery which continues until 31 March 2019; Ed Atkins is featured in The Humans at Kunstmuseum St. Gallen, Switzerland, until 17 March 2019; Anthea Hamilton and James Richards are presenting work at Secession, Vienna, until 4 November 2018; and Hito Steyerl will present work in the screening programme The Art of Not Being Governed (Quite So Much) this Saturday 22 September at ASAKUSA, Tokyo. The gallery is currently closed as we prepare for our forthcoming exhibition by Lawrence Abu Hamdan, which opens Thursday 20 September, 6.30-8.30 p.m. To find out more, please click here. Over the next two weeks, we will be revisiting previous works by Abu Hamdan on social media ahead of his exhibition at Chisenhale Gallery. Follow us on Instagram to find out more. 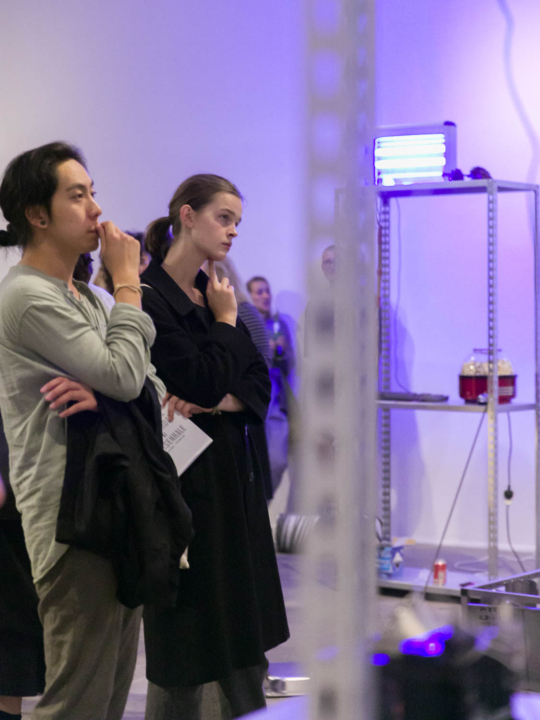 As part of the commissioning process, a programme of events has been devised in collaboration with Lawrence Abu Hamdan and runs throughout the duration of his exhibition. Events include a conversation between Abu Hamdan and Stuart Comer, Chief Curator of Media and Performance Art, Museum of Modern Art, New York on Friday 5 October, 12pm; a sound workshop for children led by The Soundhoppers on Saturday 13 October, 2pm; a talk by writer and researcher Reema Salha Fadda in response to Abu Hamdan's new commission on Thursday 1 November, 7pm; an early morning viewing of the exhibition with an introduction to Abu Hamdan's new work by Amrita Dhallu, Curatorial Assistant: Commissions at Chisenhale Gallery, on Friday 30 November, 9am; and an introduction to Abu Hamdan's exhibition by Ellen Greig, Curator: Commissions at Chisenhale Gallery on Thursday 6 December, 7pm. For details on all events and for bookings, please visit our Events page. Chisenhale alumni with recent and forthcoming openings include: Rosalind Nashashibi and Quinn Latimer who are presenting work at Witte de With Center for Contemporary Art, The Netherlands until 6 January 2019; Rosalind Nashashibi is also presenting work in Relating Women - A Common World at The Horse Hospital, London until 30 September; Helen Marten and Alex Baczynski-Jenkins will be featured in the group show, The Marvellous Cacophony, opening this Thursday 15 September at Cultural Centre of Belgrade, Serbia; and Paul Maheke opens a new solo show Letter to a Barn Owl, this Tuesday 11 September at Kevin Space, Vienna.